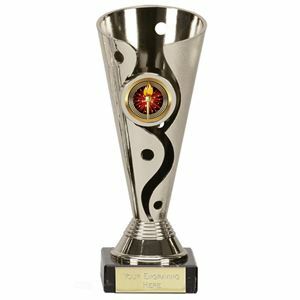 At Impact Trophies & Medals, we have a great selection of trophy cups suited to clay pigeon shooting meets, presentations and competitions. 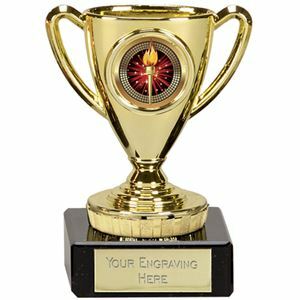 Our extensive range includes budget glazed plastic cups, laser cut modern cups and luxury metal and silver cups for clay pigeon shooters. 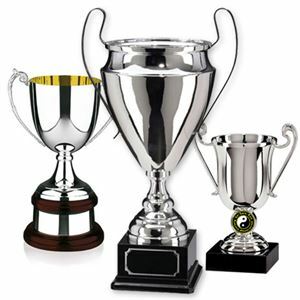 Impact Trophies & Medals are a leading retailer or trophy cups for clay pigeon shooting. Great for personalisation, many of our trophy cups can be personalised with text plate engraving on the base or high quality diamond cut engraving on the body of our luxury metal trophy cups. 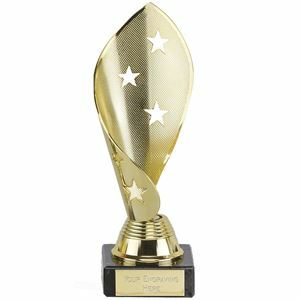 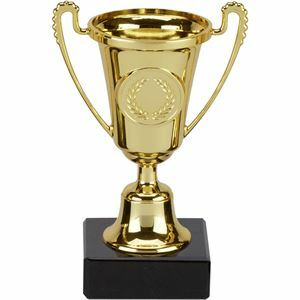 The Westbury Gold Cup is a premium metal and glazed plastic trophy cup available in 3 sizes. 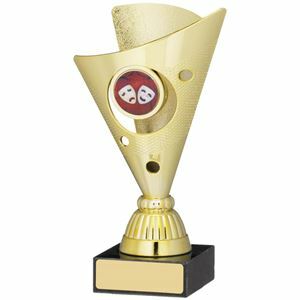 The trophy stands on a narrow black base, with space for personalisation. 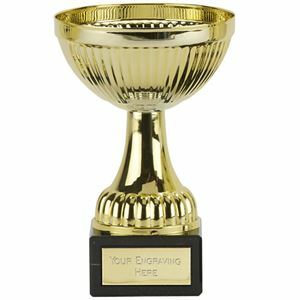 The Cup on the top of the trophy is made from gold coloured metal, whilst the rippled edge riser is made from moulded gold glazed plastic, matching perfectly with the cup above.